Manama : An unidentified person stole a car that was parked on the ground near Yateem Center around 5:45 pm on Tuesday. 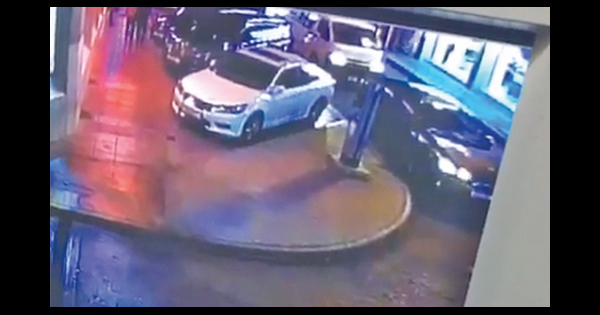 “I parked my car near Yateem Center, Manama and went to a nearby place to make a payment, and all of a sudden an unidentified person who was in a hoodie rushed into the car and drove off,” Mohammed Ajmal, the owner of the car said. “I lodged a police complaint at the Bab Al Bahrain Police Station but there has been no update and the only information they have is that they saw the car last time near the American Mission Hospital Road,” Ajmal said. “The car number is 513204 and it is a grey colour Toyota Corolla, if anyone has seen it anywhere please contact the police or reach me on 34404096,” the owner added. Previous articleThe first ever Chopard Classic Rally- Dubai!